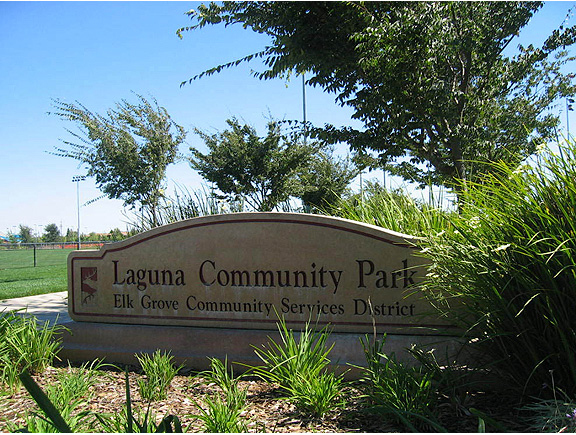 These low-maintenance structures for Laguna Community Park include picnic canopies and a restroom building. The shade canopies utilized pre-engineered metal roof structures. An open exterior end of the restroom building houses vending machines that can be secured by an overhead door when not in use. These proto-type structures were repeated at other Elk Grove area parks.